Saying the name Todd “DanDruff” Witteles in the poker world will elicit a variety of responses — World Series of Poker bracelet winner; radio personality; and lover of the shampoo, just to name a few. Now, Witteles has developed a reputation — thanks in no small part to his new website PokerFraudAlert — as a guardian against the “scumbags and criminals” that look to cheat the poker world. 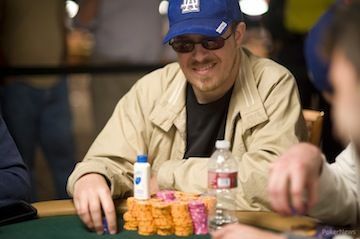 In 2005, Witteles entered his first-ever WSOP tournament — the $1,500 Limit Texas Hold’em event — where he finished third out of 1,049 players for $115,810. Less than a month later, he was back at a WSOP final table in the $3,000 Limit Hold’em event, but this time he emerged victorious to win the $347,385 prize and his first gold bracelet. All told, Witteles has amassed $868,235 in career earnings. 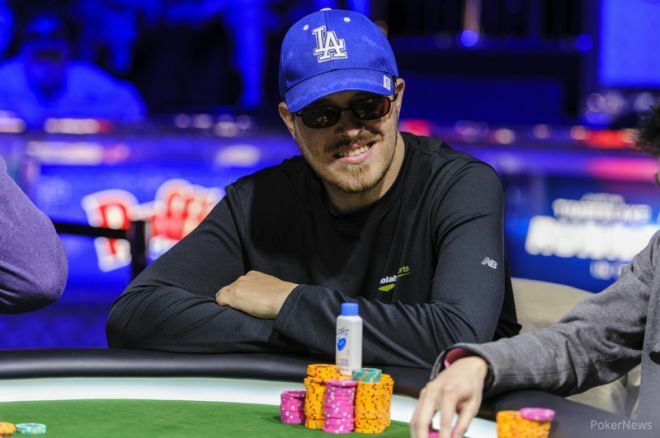 Witteles, who has a three-year old son and lives in Las Vegas, recently spoke with PokerNews about PokerFraudAlert, justice in the game, and the current state of online poker in the United States. PokerNews: What inspired you to start PokerFraudAlert, and what is the motivating force behind it? 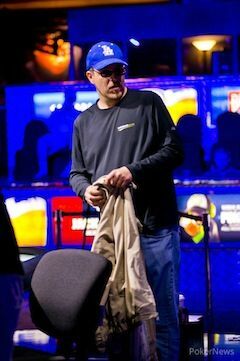 Witteles: I've been part of the poker world for a long time. The thing that has disgusted me most has been the repeated scamming and cheating of our community. It's so hard to succeed in the long term in poker. You're battling rake, tips, travel expenses, increased competition, bankroll management, and many other factors. Then, on top of it, the community is plagued with predatory thieves who see us as easy targets, mainly because we deal with large sums of cash. We're probably approaching a billion dollars collectively stolen from our community, and it's just mind-boggling. Most of it has been stolen by shady companies, and some has been stolen by individuals within poker itself. The big problem is that this is such a frequent occurrence that it's nearly impossible to keep up with who you can trust and who you need to avoid. That's why I started PokerFraudAlert. The 2+2 forums are great, but they're too big, and these stories get scrolled off into oblivion too quickly. PokerFraudAlert specializes in collecting, listing, and actively investigating all forms of scams and scandals in poker, and it's a place where every cheated poker player has a voice. You’ve developed a reputation of being a champion for poker justice, so to speak. How do you feel about that? I'm not looking for any kind of fame or recognition for this. My satisfaction comes from spreading the word in poker regarding who and what to avoid. I enjoy exposing these con artists for what they are. When I get a private message saying, "Thanks for warning me about that site. I almost deposited there, and you prevented me from getting cheated,” it's such a good feeling. If a post of mine prevents even one person from getting scammed, it was a great use of my time and effort. Obviously two of poker’s most infamous dealings were those of Ultimate Bet and Full Tilt Poker. You were heavily involved in exposing UB, but do you feel that issue is being "swept under the rug" due to everyone focusing on the Full Tilt stuff? Unfortunately, yes. In February, 2011, my actions brought UB conspirator Travis Makar out of the woodwork, and many people were really excited to finally learn the ugly truth behind that huge cheating scandal. Just as it was heating up, Black Friday happened. Shortly thereafter, it became clear that the once-trusted Full Tilt had stolen hundreds of millions of dollars, and suddenly UB just seemed inconsequential to everyone. Earlier this year, we got to hear really incriminating tapes where Russ Hamilton, Greg Pierson, and others were discussing the UB cheating, how to cover it up, and how to avoid paying victims properly. Everyone stopped for a moment and listened to the tapes in shock, but a week later, it was back to Full Tilt and when we were going to see our money. I mean, most people don't even realize that UB did the exact same thing as Full Tilt. Not only did UB cheat everyone by looking at their hole cards, but they also stole nearly all of the player money on deposit. It's just not talked about much, because Full Tilt was on a larger scale. I do want to give props to investigative journalists Scott Bell and Haley Hintze, who despite their differences, have done a great job keeping this ugly story in the spotlight over the years. Do you think that players like Chris Ferguson, Howard Lederer, Russ Hamilton, etc. could reenter the poker world? Thankfully, no. Each of these guys were the "faces" of their respective scandals, and their reputations are trashed beyond repair. Howard Lederer didn't understand this, which is why he sat down for that long interview with Pokernews. He honestly believed that he could lie his way through the questions, and somehow restore his reputation. When it predictably backfired, he canceled all other interviews and has seemingly given up on ever being accepted as a member of the community in good standing. Howard and Chris are interesting in that I don't believe they were unapologetic thieves like Russ Hamilton, but rather felt they had the right to "borrow" Full Tilt player funds for the good of the company, which is still stealing when it all comes down to it. I think Russ actually accepts his fate better because he knows he's a scumbag, and understood the risks when he cheated people. Howard and Chris honestly think they're good guys. They still don't understand that they stole from us, because they believe they weren't intending to steal. The bottom line is, when you steal from people, it doesn't really matter what reason you're doing it. You're still a thief. Sadly, the ones I fear worming their way back into poker are the lesser faces of the scandals. Greg Pierson was one of the original UB founders, and was heard on tape attempting to cover up the cheating. His now-successful company, Iovation, is reportedly trying to get licensed in Nevada to provide verification services for the legalized poker rooms. Post-scandal UB COO Paul Leggett, who tried to trick everyone into believing the company had been sold to new owners, has already obtained other respectable jobs within poker, though not in the US. Bonnie Leinhos, who assisted Russ Hamilton in moving UB cheating money around, actually got a job as manager of the LVH Poker Room until public outrage got her fired. I really don't want to see any of these people ever work in our community again. They don't deserve it. They should be ostracized and shut out from making a single dime from poker players ever again. What are your thoughts on the current state of online poker? It's a mess. I don't recommend any of the current US-facing sites. You have some, like Lock Poker, which are outright scams. Others, like Merge, have difficult cash out policies and are increasingly hostile toward pro players. It's hard to get money on these sites, and even harder to get it off. As a result, the games are pretty tough, as it's mostly comprised of pros. I have some optimism regarding the legalized market in the US, and have already played some on Ultimate Poker. These rooms have a long way to go, and the player pools are really too small to ever come close to replacing what we once knew prior to Black Friday. However, I'm hoping maybe we'll see some cooperation between states, or perhaps one day federally legalized online poker. If that ever happens, online poker will be back, and perhaps we will forget the dark days of the early 2010s. How about your thoughts on Sheldon Adelson’s anti-online gaming stance? I disagree with his viewpoint, as does just about everyone in the poker industry. However, I think it's a mistake to classify him as some sort of evil super villain. The guy is 80 years old, has an obscene sum of money to his name, and likes to throw around that money to back policies and causes he finds important. For example, he has spent a lot of money supporting pro-Israel political candidates, regardless of their party affiliation. He doesn't do this for any selfish business reasons, but rather because he's Jewish and supports the state of Israel. I think that the online poker situation isn't too different from that. While I believe he thinks online gaming will harm the casino industry overall, he isn't mounting this major effort to fight it simply because he's trying to keep more dollars in his pocket. Adelson simply hates online gaming. He hates it from both a moral and business standpoint. He could easily have qualified for one of the few licenses given out to run the current and future legalized US online casinos, but he doesn't want that. He's leaving that money on the table because he hates online gaming, and wants no part of it. You can't fault a guy for spending his own money to fight something he feels is immoral and harmful, even if you strongly disagree with him. My advice to the poker community is to stop wasting your time with silly boycotts and social media posts, and instead turn your attention to his gaming rivals. Gently encourage Caesar's, MGM, and the rest of the pro-online gaming corporate monsters to reach into their own deep pockets to oppose him. This summer you made the final table of the WSOP Event #37: $5,000 Limit Hold’em, the same game you won your bracelet in back in 2005. How did it feel to be back at a WSOP final table, and are you satisfied with the experience and outcome? In 2012, I lost four straight hands to be the stone bubble boy in that same event. When I came into it this year, I was so hungry for this one. It was so important for me to avenge that frustrating bubble finish of the year before. Day 1 went fairly well, and on Day 2, everything just clicked. I was running well, playing well, and it felt like 2005 all over again. I went into Day 3 as the chip leader, just a hair ahead of Ronnie Bardah. I thought I was going to win my second bracelet. Then, as Day 3 started, I couldn't win a hand for a while. Something just felt different. I tried to ignore it, but I just knew it wasn't going to happen for me this time. The cards just didn't fall for me on that last day. When I went out fifth, I wasn't even angry or depressed. It just didn't feel like it was my destiny to win this one. What are your thoughts on the poker documentary UltimateBeat, and what role did you play in it? I think it's great that Scott Bell produced this. It brings a lot more names and stories into the picture regarding the UB cheating. Everyone just knows Russ Hamilton, but there were so many others who enabled and participated in the scandal. I recommend everyone spend the $3.00 and watch it. There's no way Scott is going to get rich from this, and he clearly did it because he wanted to expose the full story and all of the perpetrators. Of course, some of the documentary contains educated guesses where blanks exist, and a lot of it is left open to interpretation by the viewer. My role was simply being interviewed about my experience as a victim and anti-UB activist. I have no financial interest in the documentary, and I was not paid for my interview. I'll do an interview with any legitimate media about UB or Full Tilt. I think it's important the truth gets out and is never forgotten. In the past you’ve been at odds with Bryan Micon. Where does that situation stand now? We have both gotten past it. We agreed last year to end the animosity and both move on with our lives. It was just one of those situations where you go into business with a friend, you start having disagreements, and that ends up ruining the friendship. When I started PokerFraudAlert, I said to myself, "I'm not letting this happen again. I'm going solo on this one." You should never mix business with friendship, or both will end up destroyed. You have been a vocal member of the poker industry for years. Have you ever considered writing a poker-related book? I have considered it. At one point I was going to write a limit hold’em strategy book, especially geared toward finding the best spots and maximizing your profits in them. However, by the time I seriously got around to start writing, the game of limit hold’em was losing popularity, and I decided it just wasn't worth doing anymore. I might still write a poker-related book one day, but I doubt it would make me much money. If I jumped and did this right after I won my limit bracelet in 2005, and capitalized on the poker boom, there would have been a lot more profit involved. I kind of regret not doing that and making training videos. I saw that stuff right in front of my face, but I figured, "I'm doing so well playing poker, who needs to waste my time with this stuff?" That was a mistake. What’s next for you as far as poker is concerned? I'm over 40 years old and have a family, so it's not practical that I move out of the country to play online, or anything like that. Fortunately, I saved the vast majority of the money I made during the boom years, so I can afford to wait for online to return. Hopefully it won't be for too long. I would love to have some sort of managerial or consulting position with one of the new legalized US rooms. I've been around for so long and become so involved with the online poker scene, I know exactly what everyone wants, both from a gameplay and customer service standpoint. I even have a software background. I'm not desperately in need of work or money, but I think that sort of position would be like a dream job for me, and something I would actually enjoy doing. I suppose if anyone is interested, they know where they can find me.